Hoooooooly crap. Dave Cox of MercurySteam, the Developers of Caslevania Lords of Shadow and the upcoming sequels, stated in an interview with VG247 that he and his team want to do a Contra game. He stresses that even though his team have done very well with the Castlevania reboot, he doesn’t want to be known as Mr. Castlevania. “… I don’t want to be in charge of a series that perhaps over a certain time is going to decline,” he states, which probably rings true for some franchises that have seen some major drops over time. As he feels his team has told the story of this Castlevania, he’d want his tem to “…go out with a bang and leave that as our legacy in the Castlevania universe.” Hey, no shame in that. Some of the best artists stepped out while the iron’s hot. “I’d love to do Contra. At Mercury Steam we’ve got an original idea that I think is really awesome. We’d love to bring that idea to market and I’m hoping that the success of Lords of Shadow 2 will allow us to do that,” says Cox later on. 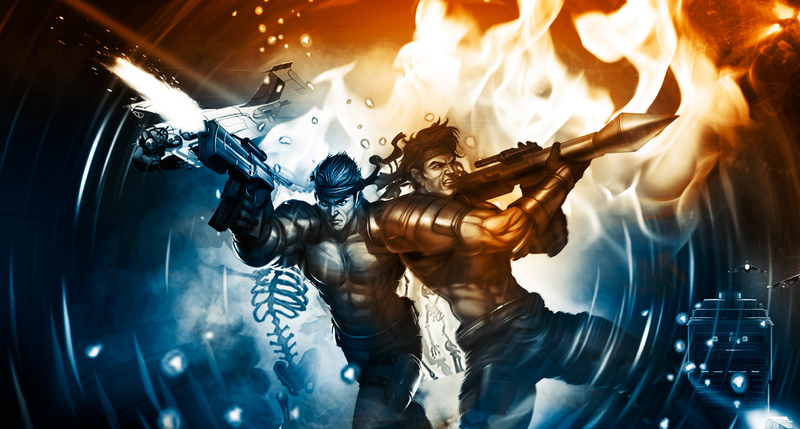 The last Contra games to come out were Contra Rebirth on WiiWare and WayForward’s own Contra 4 on the DS. As long as it doesn’t become another FPS or TPS, I welcome this venture. Maybe something along the lines of Devil May Cry‘s and Metroid Other M‘s tight gameplay might suffice. This entry was posted in Gaming News and tagged castlevania, Castlevania Lords of Shadow, contra, Dave Cox, gaming, konami, Mercury Steam, upcoming sequels on July 3, 2012 by Steven T..